Traveling by plane can be quite tricky if your cat hates flying. You might have the option of having them on the plane with your or having to send them below into an air conditioned cargo area especially designed for pet travel. Some airlines allow you to take your cat along in a carrier that can fit below the seat in front of you. You need to specifically ask the airline if this is an option or not, plus you need to consider if your cat will fit into such a carrier. 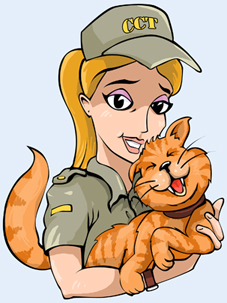 If this practice is not allowed you will have to have your cat in a carrier and check them into the cargo area. If you plan on traveling with your cat you need to make your reservation far in advance and inform the airline that you will be traveling with a cat. You also have to make sure that your carrier fits the criteria of the airline. You might even be able to have your cat sedated for the flight time frame by your veterinarian to make travel a little easier.